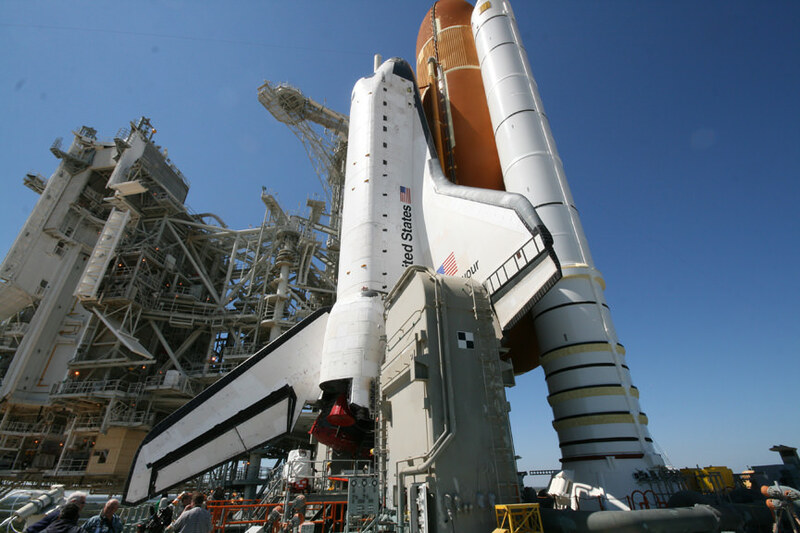 KENNEDY SPACE CENTER – Space Shuttle Endeavour is poised for launch as the countdown clock ticks down to a liftoff from Pad 39 A on Monday morning, May 16 at 8:56 a.m. EDT. The shuttle Mission Management Team (MMT) at the Kennedy Space Center (KSC) met today (May 14) and gave the green light to continue launch preparations for the STS-134 mission, which is the final flight of shuttle Endeavour. The weather forecast remains at a 70 percent favorable chance of acceptable conditions on Monday, according to Shuttle Weather Officer Kathy Winters. The weather outlook drops to only 20 percent favorable on Tuesday in case of a one day delay. The weather rebounds to 80 percent favorable if the launch is postponed by 48 hours. At a briefing for reporters at KSC today, shuttle launch managers were upbeat about preparations for the launch. 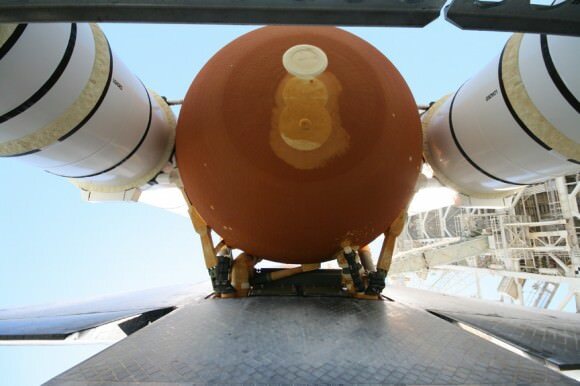 Moses added that no problems are expected with the heaters in the auxiliary power units (APU’s) that caused the launch scrub two weeks ago on April 29. Fueling of the External Tank with supercold liquid oxygen and liquid hydrogen starts at 11.36 p.m. Sunday night. Leinbach said that local officials are expecting a crowd of about half a million people to descend on the Florida Space Coast area for the launch. Endeavour and her six man crew will deliver the $2 Billion Alpha Magnetic Spectrometer – a particle physics detector searching for dark matter, dark energy and antimatter – to the International Space Station during a 16 day mission that will include 4 spacewalks. After Endeavour was rolled out to the pad, I had an awesome opportunity to photograph Endeavour at the pad from stunning vantage points all around the launch pad from top to bottom. 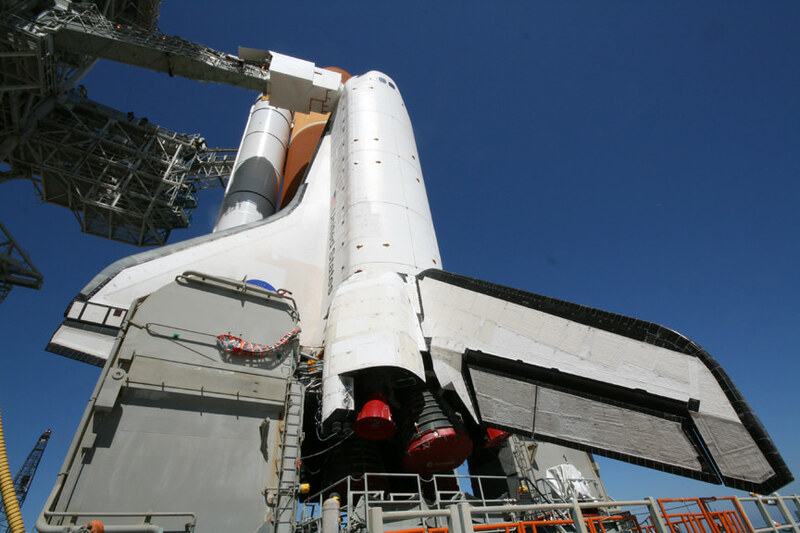 Herein is part 2 of my photo album focusing on my visit to the base of the shuttle stack on the mobile launch platform while looking to the heavens and standing directly beneath the External Tank and in between the Twin Solid Rocket Boosters. Part 1 of my photo album concentrated on the view from the upper levels and our visit to the White Room – where the astronauts board the shuttle orbiter to take their seats for the adventure of a lifetime. If you watch Endeavour’s launch, send me your launch and crowd photos to post in an STS-134 launch gallery here at Universe Today. OK, this looks like it might jsut work dude. Wow.